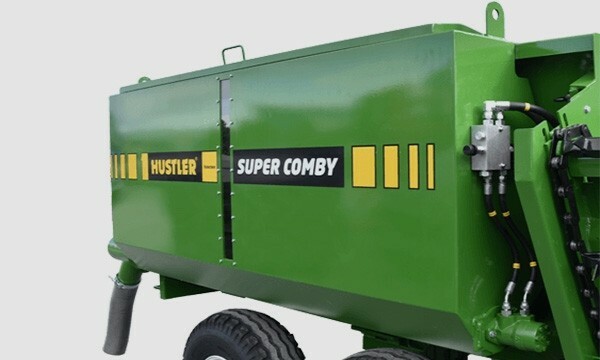 The patented Comby Spread attachment can be fitted to any bale feeder, silage wagon or Comby wagon and has been designed especially for spreading causmag, lime flour or minerals directly onto the row of feed. 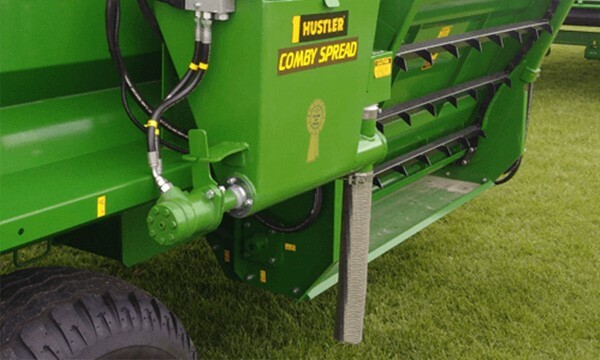 Hustler’s New Swift Hitch provides the operator with better visibility, more manoeuvrability and easier connecting than any tow bar quick hitch on the market which makes it easier to use, and saves your precious time. And it doesn’t stop there… this 3 point linkage quick hitch also has the strongest latching system providing more safety and you’ll never need to get the grinder and welder out to replace a wear pad again! Heavy Duty – rated to 15 tonnes. 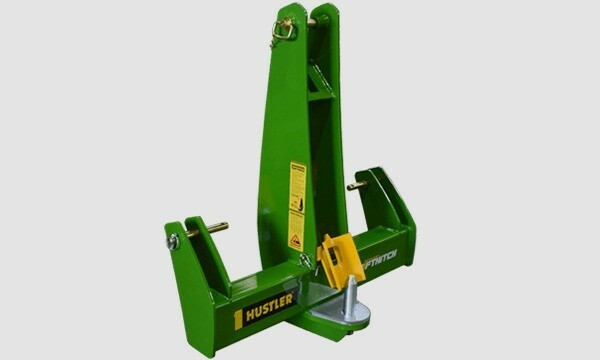 Hustler’s New Swift Hitch provides the operator with better visibility, more manoeuvrability and easier connecting than any tow bar quick hitch on the market which makes it easier to use, and saves your precious time. And it doesn’t stop there… this 3 point linkage quick hitch also has the strongest latching system providing more safety and you’ll never need to get the grinder and welder out to replace a wear pad again! Super Duty – rated to 20 tonnes.